En ponnu pass aayitaa! En ponnu pass aayitaa! Hasini’s exam results came out yesterday and she has been promoted to UKG. Cookie boxes have worked. No, of course not. Bad joke. Hasini scored an “O” (outstanding) in Art thanks to her GlobalArt classes and “A” (Very good) in Numbers and English and average in “Story telling”. Not surprising. Hasini has a hard time finishing a story. She starts a story and then weaves in all the episodes of Chotta Bheem into them, gets confused, starts over again, rehashes the storyline and continues and doesn’t know how to end it. A bit like her mother. No, I didn’t make this brownie to celebrate her results. I’ve promised her a Chotta Bheem cake sometime soon. 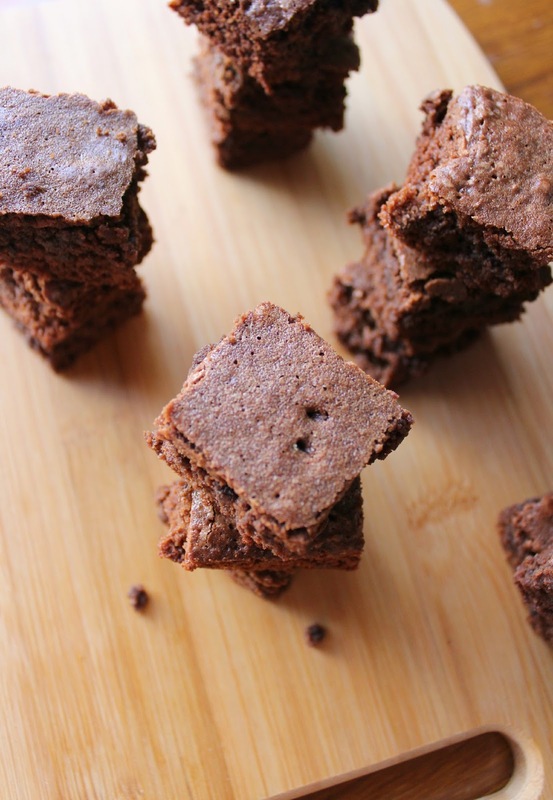 I made these mocha brownies last week because our fridge was devoid of anything sweet, not even my son’s lollipops and I felt downright depressed. Without a sweet to finish a meal, it didn’t feel like a meal at all. We happened to have ice cream at Ibaco the previous week and the teeny weeny brownies served as toppings at Ibaco had me craving a nice fudgy brownie. I realized I hadn’t made brownies in ages and brownies are the simplest treats to bake. They are just the thing to end a meal. 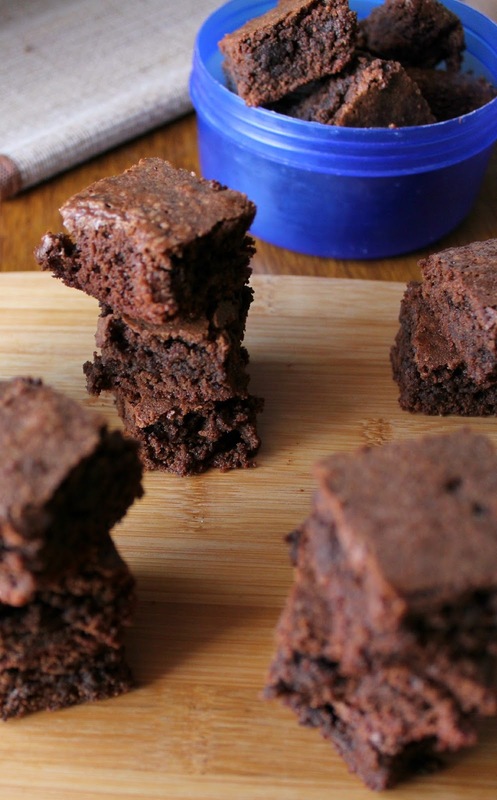 These brownies are fabulous. They’re fudgy and coffee-chocolaty divine. I cut them into smallish squares and snucked 3 of them into my lunch box for my lunch-time dessert. They were yummy. I made these during the busy AM, managed to mix it up and shove it inside in the oven just before my kids woke up. By the time they were bathed and ready, the brownie was done too. It’s really that simple and quick. I like coffee flavoured anything and I am reckless, so I just emptied the last of my coffee jar into the batter without measuring it. I reckon it must have been 1-1/2 to 2 tbsp. You can omit the coffee entirely if you want to make a chocolate brownie and that would taste just as fabulous. 1. Preheat oven to 180 degrees Celsius. Grease and line a 9 inch square baking pan with parchment paper. 2. Sift together flour, cocoa powder, salt and baking powder twice. 3. In a clean bowl, beat butter and sugar for about 2 minutes. Beat in eggs one at a time beating well after each egg. Add vanilla and beat. 4. Add the flour mixture in one go and beat on the lowest speed just until all the dry ingredients are incorporated. Don’t overbeat. Turn the batter into the prepared pan. Level the top with a spatula and place in the middle rack of the oven. Bake at 180 C for 30 minutes or until a toothpick inserted into the centre comes out clean. Remove pan from oven and let cool down completely. 5. 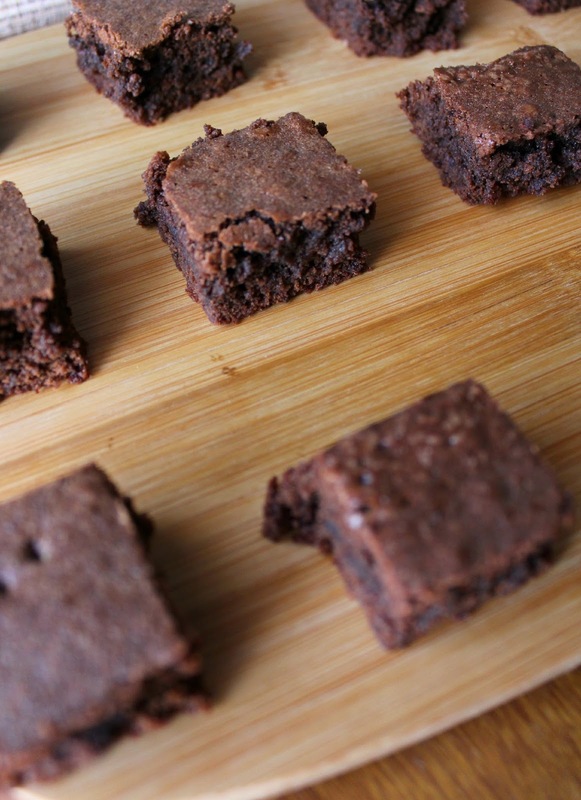 Loosen the edges with a thin bladed knife and invert the brownie onto a plate. Peel off the parchment paper, invert right side up and cut into equal sized squares. Serve. 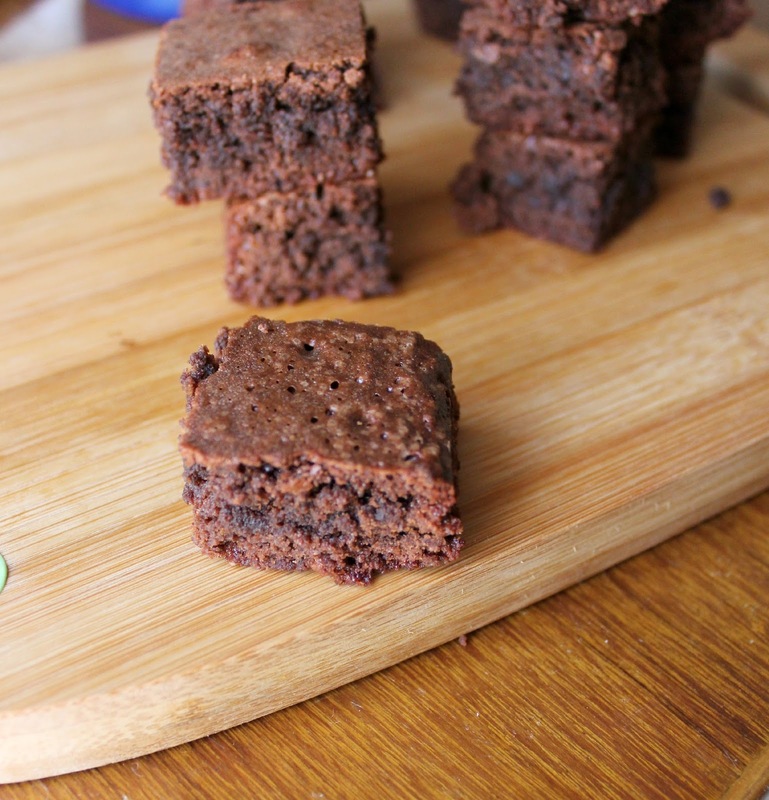 This entry was posted in Cakes, Desserts and tagged baked, cakes and cookies, coffee chocolate brownie, coffee flavoured brownie, easy brownie, easy mocha brownie, mocha brownie, recipe.